Nexus 5 photo. 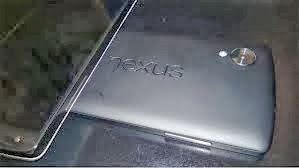 This look a lot like the nexus 7 I think it will be nice to go the smamsung rooute and streamline the design across the board. People are angry at the camera but I don't know why I think it doesn't make a difference and o guess I'm used to it because it looks similar to the bezel around the nexus 7 cam. There are rumored specs like snapdragon 800 , 2 gig ram, sseperate graphics and the usual but I think nexus stands out primarily by price and os so the is nothing to be excited about or remember for that matter. What would you guys like to see? Aereo delayed Chicago launch. From my knowledge Aereo is a service that allows you to watch local tv online. I know some are saying so what but aereo hosts the channels so you don't have to worry about tweaking your computer with a antenna or run cords. They sent an email a few days ago saying that the rollout will be late because the beta went wrong. This makes me so sad because I want to be a cord cutter but I need a reliable solution to have commercials play as environmental noise as I interact with my family. Am I the only one that feels less comfortable when Netflix is playing all say? It seems like a commitment or something I have to plan for. I never hear people say it but I think we enjoy the randomness of TV and its commercials. Netflix forces you tk make a decision. Any cord cutters excited about this? Oh yeah and the review's of the note 3 is released and from what I'm reading this is the phone to beat!! !